When Noah and his family stepped out of the Ark, they were the only people on Earth. It fell to Noah's three sons, Shem, Ham, and Japheth, and their wives, to repopulate the Earth through the children that were born to them after the Flood. Of Noah's grandchildren, 16 grandsons are named in Genesis chapter 10. Ruins in Turkey. There is evidence suggesting that this country's name is derived from that of Noah's descendant Togarmah (see text). People in various areas called themselves by the name of the man who was their common ancestor. They called their land, and often their major city and major river, by his name. All of this means that the evidence has been preserved in a way that can never be lost, and all the ingenuity of man cannot erase. We will now examine it. Some of the Gomerites migrated further to what is now called Wales. The Welsh historian, Davis, records a traditional Welsh belief that the descendants of Gomer 'landed on the Isle of Britain from France, about three hundred years after the flood'.2 He also records that the Welsh language is called Gomeraeg (after their ancestor Gomer). Other members of their clan settled along the way, including in Armenia. The sons of Gomer were 'Ashkenaz, and Riphath, and Togarmah' (Genesis 10:3). Encyclopaedia Britannica says that the Armenians traditionally claim to be descended from Togarmah and Ashkenaz.3 Ancient Armenia reached into Turkey. The name Turkey probably comes from Togarmah. Others of them migrated to Germany. Ashkenaz is the Hebrew word for Germany. The name of the next grandson, Javan, is the Hebrew word for Greece. Greece, Grecia, or Grecians appears five times in the Old Testament, and is always the Hebrew word Javan. Daniel refers to 'the king of Grecia' (Daniel 8:21), literally 'the king of Javan'. Javan's sons were Elishah, Tarshish, Kittim, and Dodanim (Genesis 10:4), all of whom have connections with the Greek people. The Elysians (an ancient Greek people) obviously received their name from Elishah. Tarshish or Tarsus was located in the region of Cilicia (modern Turkey). Encyclopaedia Britannica says that Kittim is the biblical name for Cyprus.6 The people who initially settled around the area of Troy worshipped Jupiter under the name of Jupiter Dodonaeus, possibly a reference to the fourth son of Javan, with Jupiter a derivative of Japheth. His oracle was at Dodena. The Greeks worshipped this god but called him Zeus. Meshech, the name of the next grandson, is the ancient name for Moscow. Moscow is both the capital of Russia, and the region that surrounds the city. To this day, one section, the Meschera Lowland, still carries the name of Meshech, virtually unchanged by the ages. According to Josephus, the descendants of grandson Tiras were called Thirasians. The Greeks changed their name to Thracians.1 Thrace reached from Macedonia on the south to the Danube River on the north to the Black Sea on the east. It took in much of what became Yugoslavia. World Book Encyclopaedia says: 'The people of Thrace were savage Indo-Europeans, who liked warfare and looting. '8 Tiras was worshipped by his descendants as Thuras, or Thor, the god of thunder. Next we come to the sons of Ham: Cush, Mizraim, Phut, and Canaan (Genesis 10:6). Noah's next grandson mentioned was Mizraim. Mizraim is the Hebrew word for Egypt. The name Egypt appears hundreds of times in the Old Testament and (with one exception) is always a translation of the word Mizraim. E.g. at the burial of Jacob, the Canaanites observed the mourning of the Egyptians and so called the place Abel Mizraim (Genesis 50:11). Canaan, the name of Noah's next grandson, is the Hebrew name for the general region later called by the Romans Palestine, i.e. modern Israel and Jordan. Here we should look briefly at a few of the descendants of Ham (Genesis 10:14-18). There is Philistim, obviously the ancestor of the Philistines (clearly giving rise to the name Palestine), and Sidon, the founder of the ancient city that bears his name, and Heth, the patriarch of the ancient Hittite empire. 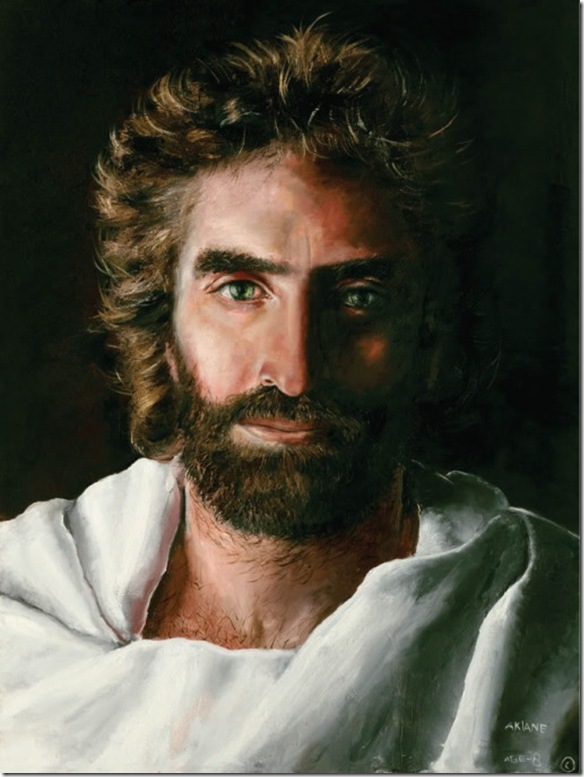 Also, this descendant is listed in Genesis 10:15-18 as being the ancestor of the Jebusites (Jebus was the ancient name for Jerusalem--Judges 19:10), the Amorites, the Girgasites, the Hivites, the Arkites, the Sinites, the Arvadites, the Zemarites, and the Hamathites, ancient peoples who lived in the land of Canaan. Great empires of the past: Egypt, Assyria, Babylon, and Persia all have strong historical links to the Biblical figures connected with the sons of Noah. Most, if not all, tribes and nations can be traced to these men through their descendants. A huge carved statue of the great pharaoh Ramesses II of Egypt. Ruins from the ancient Nabatean city of Petra. Last we come to the sons of Shem: Elam, Asshur, Arphaxad, Lud, and Aram (Genesis 10:22). It is interesting to note that the word 'Aryan', which so fascinated Adolf Hitler, is a form of the word 'Iran'. Hitler wanted to produce a pure Aryan 'race' of supermen. But the very term 'Aryan' signifies a mixed line of Semites and Japhethites! Lud was the ancestor of the Lydians. Lydia was in what is now Western Turkey. 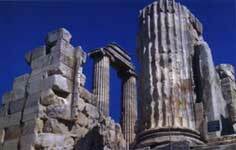 Their capital was Sardis--one of the seven churches of Asia was at Sardis (Revelation 3:1). Aram is the Hebrew word for Syria. Whenever the word Syria appears in the Old Testament it is a translation of the word Aram. The Syrians call themselves Arameans, and their language is called Aramaic. Before the spread of the Greek Empire, Aramaic was the international language (2 Kings 18:26 ff). On the cross, when Jesus cried out, 'Eloi, Eloi, lama sabachthani' (Mark 15:34),13 He was speaking Aramaic, the language of the common people. We have only taken the briefest glance at Noah's sixteen grandsons,14 but enough has been said to show that they really did live, that they were who the Bible says they were, and that their descendants are identifiable on the pages of history. Not only is the Bible not a collection of myths and legends, but it stands alone as the key to the history of the earliest ages of the world. Josephus: Complete Works, Kregal Publications, Grand Rapids, Michigan, 'Antiquities of the Jews', 1:6:1 (i.e. book 1, chapter 6, section 1). J. Davis, History of the Welsh Baptists from the Year Sixty-three to the Year One Thousand Seven Hundred and Seventy, D.M. Hogan, Pittsburgh, 1835, republished by The Baptist, Aberdeen, Mississippi, p. 1, 1976. A.C. Custance, Noah's Three Sons, Vol.1, 'The Doorway Papers', Zondervan, Michigan, p. 92, 1975. Bill Cooper, After the Flood, New Wine Press, Chichester, England, p. 203, 1995. World Book Encyclopaedia, Vol. 18, p. 207, 1968. Matthew 27:46 and Mark 15:34 quote the Aramaic form of Psalm 22:1, but Matthew reconverted Eloi to the Hebrew Eli. For example, we made no attempt here to trace the origins of the Chinese. For evidence on this subject see 'The original, "unknown" God of China', Creation 20(3):50-54, 1998. The following are from "Old Earth, why not?" by James I. Nienhuis. You can read the entire eBook by clicking here. Egypt, considered by many to be the world�s old est civilization, is said to have had royal dynasties which began before 3000 B.C. Since the Flood occurred about 2400 B.C. (as deduced by counting the ages of the patriarchs in the Bible), it seems one of these figures is incorrect. Sir Alan Gardner mocks Manetho�s work in saying, �what is proudly advertised as Egyptian history is merely a collection of rags and tatters.� Sir Isaac Newton noted that Manetho reported the same reigns twice under different names, listed kings in the wrong order, corrupted their names, repeated them again and again, and included the names of other great men and women who were only the relations of kings or their viceroys or secretaries of state. Ancient Egypt had regional rulers who controlled various �kingdoms� within Egypt simultaneously. These contemporaneous kings were inaccurately recorded by Manetho in sequential order, therefore, Manetho�s list should not trusted, and the timeline for ancient Egypt must be shortened. The heavy rainfall in Egypt, during the Ice Age, is evidenced by the extensive water erosion of the limestone quarry in which the allegedly 4,500-year-old Sphinx was built, and now rests. But the Ice Age supposedly ended 10,000 years ago? Much heavier rain did water the Middle East and northern Africa in the centuries after the Flood, and thus, caused the intensive limestone weathering of the Sphinx�s quarry. China is said to date back to about 3000 B.C. This date is based upon the flawed carbon 14 results from ancient settlements and the allegedly long �legendary period� of China. One of the legendary heroes named �Yu� engineered a massive land reclamation project. Apparently, a large area was flooded with water, and he organized the project which drained the land of this water. Could this be one of the residual �puddles� from Noah�s Flood that was discussed in Chapter 10? One ancient classic Chinese writing, called the Hikking, tells the story of Fuhi, whom the Chinese consider to be the father of their civilization. This history records that Fuhi, his wife, three sons and three daughters, escaped a great flood. He and his family were the only people left alive on earth. After the great flood they repopulated the world. An ancient temple in China has a wall painting that shows Fuhi�s vessel in the raging flood waters. Dolphins are swimming around the boat and a dove with an olive branch in its beak is flying towards it. Details in this story virtually match the Biblical details, as do details in other flood legends from around the world (which are discussed in Chapter 5). The first solar eclipse ever recorded happened in 2134 B.C. in China, so it appears the �legendary period� in China is not as long as popularly imagined. But, the �stone age� settlements� assumed great antiquity (due to flawed 14C dates) allows old-earthers to imagine that the Chinese civilization is older than it really is. Legends of this historical event abound from disparate people groups from around the world. Astronomical records, obtained by Alexander the Great from the Babylonians, are dated back 1903 years from 331 B.C. The Babylonians told Alexander that Babylon began when the astronomical records began, in 2234 B.C. This is the record of Babylonians, not the possessors of the Old Testament, the Jews. The Babylonians had no interest in historical agreement with their rivals, the Jews. And yet, both nations agree on the time of the founding of Babylon. According to the fourth century historian Eusebius of Caesarea, Egialeus, the first king in Greece, began his reign in 2089 B.C., 1313 years before the first Olympiad in 776 B.C. Yet, old-earthers say Greece and the other civilizations are older than indicated because of faith in the flawed carbon 14 results (as explained in Chapter 12) and their Darwinian philosophy. These results and philosophy have been shown to be doubtful, at best; therefore, we should look hard at the truly solid scientific and historical evidences. The Byzantine chronicler, Constatinius Manasses, wrote that the Egyptians state lasted 1663 years. If correct, then counting backward from the time that Cambyses, King of Persia, conquered Egypt in 526 B.C., gives us the year 2188 B.C. for the founding of Egypt. Menes, the legendary founder of Egypt, is the Misraim (Hebrew) or Mestre (Greek) of the second generation from Noah. Once again the Biblical timeframe matches. When the Saxons began to migrate to Britain from the European mainland about 500 A.D., the native Britains (Welsh) noted the barbarous, pagan savagery of their new neighbors. The Saxons practiced ancestor worship (of Odin and Geat), and had no knowledge of the Bible. The Welsh (which ironically means �barbaric foreigner� in Saxon) had been evangelized about 300 years before, so the cold-blooded, pagan lifestyle of the Saxons was appalling to the Welsh. These �savages� brought with them records of their kings going back to their first king, Noah. These, obviously Biblically ignorant Saxons, compiled their king�s list through the centuries, with the Biblical Noah appearing as their first king. We know that the Biblical personages of Noah and the Saxon�s second king, Sceaf (corruption of Iafeth or Japheth), were not inserted at the beginning of their king�s list, after Saxon christianization, for several reasons. Once they became christianized, the Saxons changed their second king�s name to Iafeth or Japheth (as in the Bible) because they realized Sceaf was a corrupted spelling of Japheth, as they read the book of Genesis. They wanted to get it right. And if the king�s list was concocted to concur with Genesis ancestries, why did they stop at only two Biblical people to fraudulently insert into their lineage? And why did they report that Sceaf (changed later to Japheth) was born on the Ark, when the Bible clearly states that he helped build the Ark? There were five Saxon clans that came to England around 500 A.D. These respective clans had their own unique king�s lists that converged in the distant past at their common ancestor, Odin. This Odin was worshipped by all the Saxon clans as a deified forefather. The Saxon clans� lists are identical from Odin back to Sceaf (Japheth), and to Noah. These rival clans did not want to have common ancestry with their rival �Houses� (House of Lindsay, House of Kent, House of Mercia, House of Northumbria, House of East Anglica), and yet, they could not deny their common heritage. The Vikings of Scandinavia also trace their kings back through Odin, Seskef (Japheth), and Noe (Noah). Why would the Saxons and the Vikings, archenemies for centuries, agree to get along and fake their kings� lists, as to have common ancestors and Biblical people as their shared, earliest kings? The Viking�s were not evangelized until at least 900 A.D., so the christianized Saxons (evangelized about 500 A.D.) looked with horror at the practices of these barbaric Vikings; no way could these savages from the north have our heritage, thought the Saxons. But they did, no doubt, because they were once united on the European mainland some 2,000 years before. The Miautso tribe of southern China also traces its ancestry back through a son of Japheth, the son of Noah. Whereas the Welsh trace through Japheths� son Javan, the Miautso trace through another of Japheth�s (Jah-phu�s) sons, Gomer (Gomena). Also within their history are the brothers of Japheth (Jah-phu), Ham (Lo Han) and Shem (Lo Shen). The Miatso seemed to know a lot about the Bible without having even heard of it. Their Noah (Nuah) rode out a catastrophic global flood, released a dove (remember the Chinese wall art? ), and landed on the drying land. They trace their lineage even farther back than Noah (Nuah), all the way to the first man, whose name translates �Dirt�20 (Adam was formed from the earth). Historians even corroborate this pre-Flood world where the Bible says people lived 800-900 years. The following pagan ancient historians mention much longer life spans in a previous age: Hestiaeus, Mochus, Berosus, Manetho, Hieronymus, Hesiod, Hecataeus, Ephorus, and Nicolaus. These long life spans were made possible by: a much larger gene pool than had Noah�s small group, lower UV radiation in the pre-Flood world caused by possibly higher atmospheric pressure and by stronger earth magnetism (that deflected UV), higher oxygen and carbon dioxide concentrations in the atmosphere (as reflected in Flood sedimentary rocks), and perhaps other factors [e.g. water canopy]. After the Flood, the limited gene pool of the eight survivors (the genetic bottleneck theorized by secular geneticists, and noted in Chapter 14) coupled with the diminution of the aforementioned pre-Flood conditions, resulted in progressively diminished life spans during the ten generations, or so, after the Flood. So you can see that secular history actually corroborates the most accurate history book ever written, the Bible. These pagan tribes, absent the Hebrew account of history, nevertheless had a general knowledge of the Flood and the ensuing genealogies, as related to them by their ancestors, the offspring of Noah�s sons.